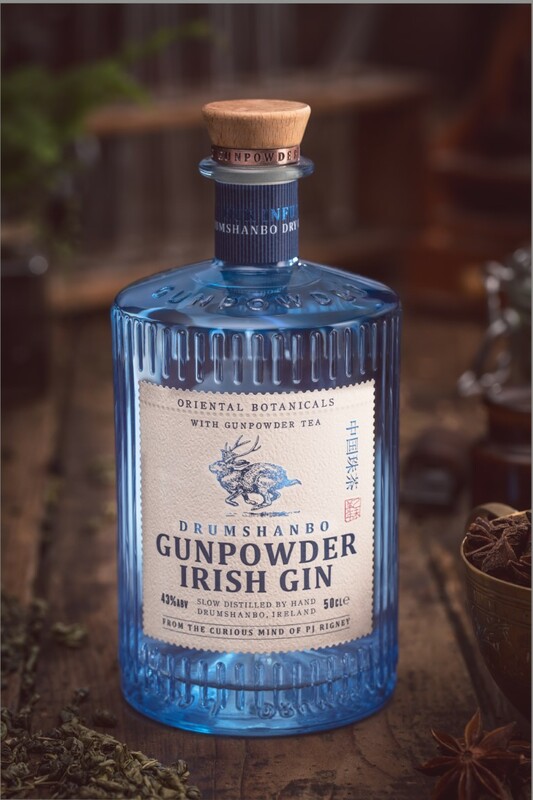 Drumshanbo Gunpowder Irish Gin is a product of The Shed Distillery, a boutique operation in rural Ireland. It’s also one of the most unusual gins you’re likely to encounter, made from a grain neutral base with some interesting botanicals in the mix.In the distillate you’ll find a relatively typical mix of juniper, angelica root, orris root, caraway seed, coriander seed, meadowsweet (an aromatically floral herb), cardamom, and star anise. Then, vapor-infused botanicals go into the mix, and here’s where it gets weird: Chinese lemon, Oriental grapefruit, Kaffir lime, and gunpowder tea. It’s the lattermost of these that gives the gin its name, and its real essence. The nose of the gin is bold with pepper and spice, with lots of juniper giving the aroma a grassy, almost green, character that’s studded with notes of dusky earth. The palate finds the green tea element exploding immediately. Slightly sweet, reminscent of matcha, there are hints of vanilla ice cream and even some saffron amidst the otherwise herbal base. A bold juniper note reprises the nose, melding quite well with the unusual green tea flavors. It’s not a combination I would have expected to work, but it does, and quite pleasantly. The finish is slightly sweet, again with a vanilla kick that lingers. It’s all quite unexpected, but the gin is never short of engaging — and I daresay it’s a versatile operator, too. It’s definitely worth checking out, no matter how you (think you) like your gin. 86 proof. Reviewed: Batch #061618/24. Thank you for the detailed review (green tea element matcha). I was curious when I saw this in the store. I will try.